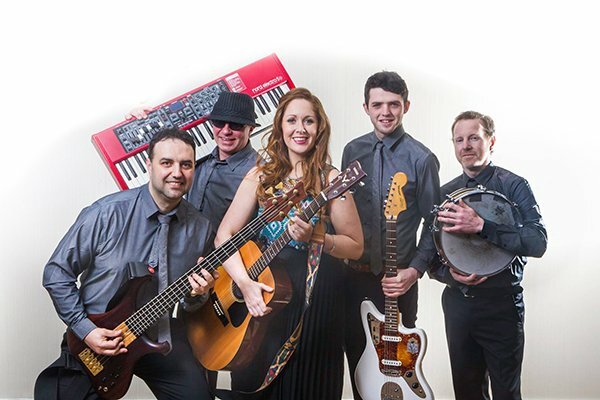 Ruby Jude are a professional and experienced five-piece cover band based in Cork, specializing in Weddings, Corporate Events and Parties. Band manager and front woman Angela Ryan brings an energetic, interactive and fun evenings entertainment to any event. The combination of her fantastic vocals and genuine connection with the crowd ensure that every wedding or function they entertain at turns into an unforgettable celebration. With a band of highly experienced and talented musicians beside her, Angela is happy to consult with any wedding couple or corporate client, to ensure the right style of music is performed for the individual crowd on the night. Having over 18 years experience in the performance industry, she has both the skills and the talent to create the right atmosphere for any occasion. Angela, along with her band, have worked for several prestigious cruise ship companies since 2006. Completing over 15 contracts, Angela’s onstage hours make her the engaging and talented performer she is today. She is passionate about entertaining and takes pride in engaging with her audience to unsure that everyone has a great night. To check availability and fees for Ruby Jude for your wedding or event, simply complete the form below, and we will be in touch with a custom quote within 24 hours.